The majority of our Jindos will have their primary registration with the Fédération Cynologique Internationale or FCI. It is my current belief that the FCI offers the best bridge among the various Korean Jindo organizations in Korea so that excellent Jindos of any background can be incorporated into the same gene pool. Even dogs that originate from Jindo Island could theoretically fall under the FCI. 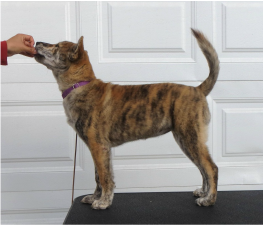 Once the Jindos have their FCI pedigree papers up to the great-grandfather generation, they can obtain their secondary registration with the non-FCI affiliated kennel clubs in the United States. Functional Conformation. No dog can ever be perfect, but we desire to produce dogs that can have a full and pain-free life running, jumping, and doing activities that a hunting dog would partake in. Korean Type. We do not strictly advocate one standard over another, but we seek traits that are universal among the various Korean Jindo organizations. This includes traits such as solid pink tongues, tightness of skin, upturned eyes, broad rounded space between the ears, etc. 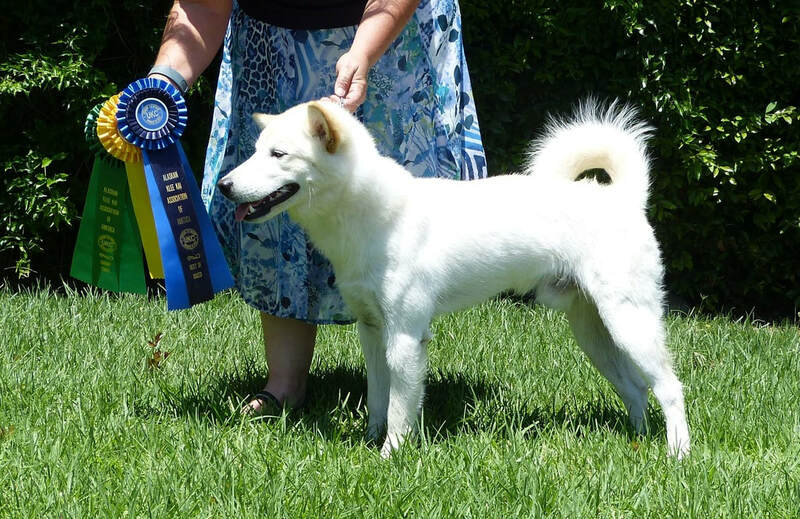 We recognize that the Jindo originated as a landrace breed of a wide variety of styles and is only recently being changed into a standardized breed. Traditional Temperament. There are various opinions on what the traditional temperament in a Jindo is. Ours is based on the stories of old family dogs in Korea and the observations of known imports in the US. For example, we believe an adult dog can have dignified friendliness to cool aloofness towards introduced strangers and that they will follow their master's cues if a person is an intruder or not. We believe that the Jindo is a hunting dog, and that it is desirable to preserve this hunting trait in the breed. Health. We believe in testing breeding dogs and using the information gathered to make a calculated guess on the health of the resultant litters. We utilize OFA ECR for eyes, PennHip for hips, and OFA for thyroid. We believe that Jindos naturally practice inbreeding avoidance and so we prefer to use assortive matings rather than inbreeding or line-breeding to fix desired traits.